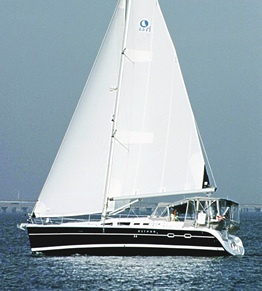 Experience the thrill of sailing with a US Coast Guard Licensed Captain. Sit back and enjoy the sights while basking in the warm sunshine. Or, lend a hand as "crew" and learn the ropes while you take the wheel. On our evening cruise, you will see some of the most beautiful sunsets and moonrises while sitting in the comfort of "Express Mail's" spacious cockpit. Capt. 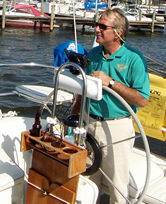 Mike will be your host for a three hour sailboat ride on Biscayne Bay. "Express Mail" can accomodate up to 6 passengers. 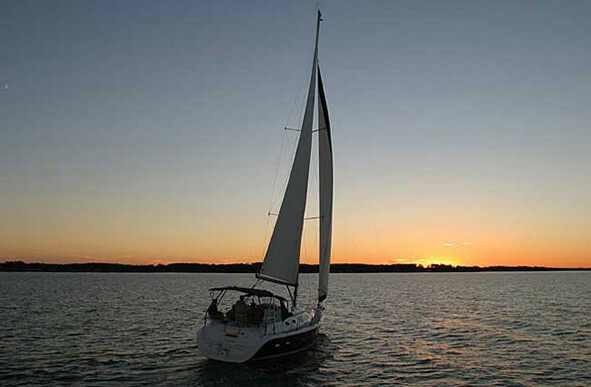 Day, Sunset or Evening sail on the beautiful protected waterway of Biscayne Bay.